Weleda Organic Pomegranate Regenerating Body Lotion moisturizes*, protects and rejuvenate your skin. Rich in Organic Pomegranate Seed Oil, Apricot Seed Oil and Organic Shea Butter, this skincare slows down skin ageing, activates cell renewal and protects from free radicals. Skin regains elasticity and firmness ; it is supple, smooth and regenerated. Orange, Ylang-ylang and Davana Essential Oils are combined to get this spicy and sensual fragrance. 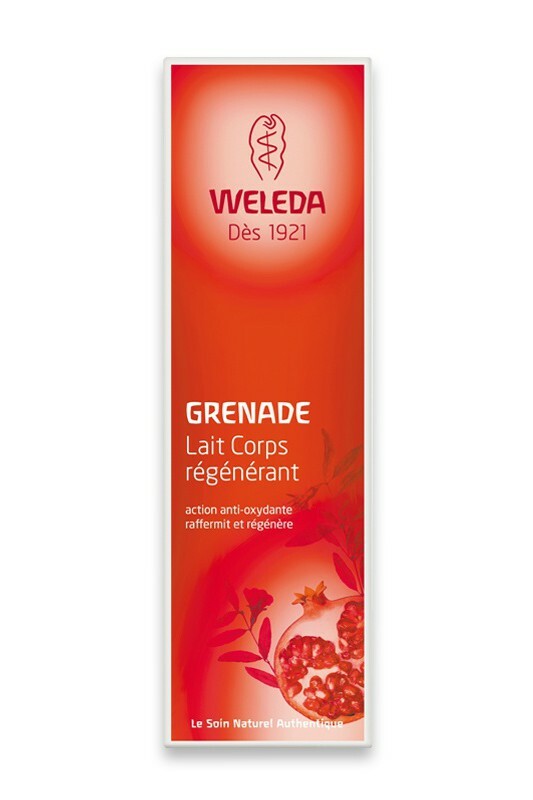 Ideal for your daily beauty routine, Weleda Organic Pomegranate Regenerating Body Lotion suits all skin types and is absorbed quickly. Plus, its new pump makes it so easy to use ! 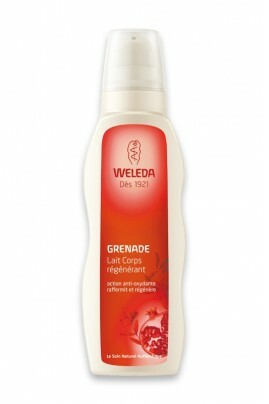 Apply Weleda Organic Pomegranate Regenerating Body Lotion all over your body and massage until fully absorbed. Before the first use, shake the bottle and activate the pump by pressing it several times. Water, Sesame Oil, Apricot Kernel Oil, Sunflower Oil, Shea Butter, Olive Oil Insaponifiables, Glycerin, Fatty Acid Esters, Glucose Esters, Essential Oils, Pomegranate Seed Oil, Millet Seed Extract, Xanthan, Fat Alcohol.